If you suffer from skin conditions such as pigmentation, enlarged pores, oily skin and acne scarring, you will probably know that these are conditions that usually do not improve on their own without treatment. Invariably, laser treatment is the treatment of choice by many doctors for many of these conditions, because laser light, tuned into specific wavelengths, can be focused into beams, resulting in powerful medical treatments. Better known for skin resurfacing and treatment of pigmentation, laser technology has evolved and most lasers now treat various skin problems in a way that minimizes the risk of side effects. Side effects of laser treatments are not uncommon, so to protect your skin, we’ve put together an informative guide about possible side effects of laser treatments, and how to pick your treatments smartly. Too Dark or Too Light? 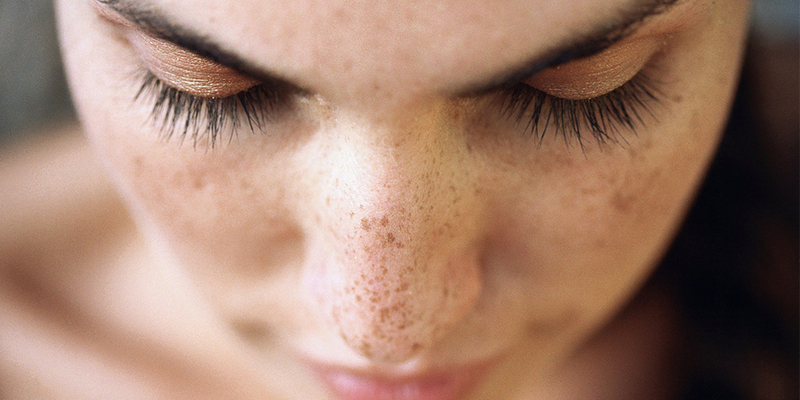 While lasers are effective for treatment of pigmentation, they are not free of side effects. One of the risks associated with laser therapy is post inflammatory hyperpigmentation (PIH), where the skin reacts to the trauma of heat by creating or releasing MORE pigment. This means that instead of lightening the pigmentation, it becomes darker. In darker skin individuals, laser injuries can cause the reverse: skin can become permanently de-pigmented, known as hypopigmentation, because the skin cells responsible for creating pigment are destroyed. Laser toning is frequently used to treat pigmentation problems such as melasma, and offers facial rejuvenation by stimulating collagen. It is sometimes used by doctors to reduce facial oiliness and improve acne, albeit mildly. Laser toning uses a Q-switched Nd-Yag laser, which targets pigment deposits within the skin. Because it takes only less than 5 minutes to administer the treatment, is generally very bearable even without topical numbing, and leaves behind only a hint of redness which goes away on its own after 1-2 hours, it has found its way into the mass market, with some clinics offering it as frequently as once or even twice a day. Here’s where things can go awry. If one thought a simple, low-risk treatment such as laser toning can be done repetitively at such short intervals, it must be completely safe, one couldn’t be more wrong. Guttatte hypopigmentation is a phenomenon that doctors are starting to see, several years after the advent of cheap and affordable mass market laser toning treatments. 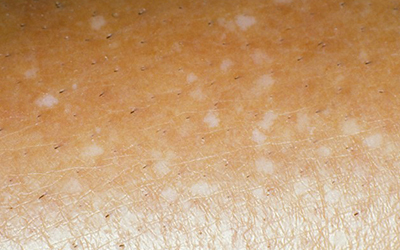 In this condition, white patches of de-pigmented skin gradually appear, resulting in a lacey, mottled appearance. According to Dr Low Chai Ling, Founder of SW1 Clinic, she has seen at least 3 of these cases in the last 12 months, all of which were most challenging to treat. 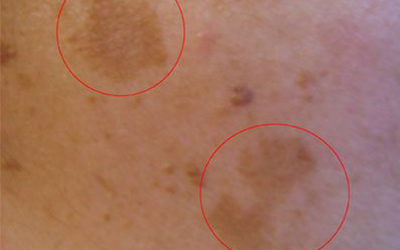 “It is most likely a culmination of repetitive, low dose laser treatments, reducing the activity of some melanocytes and resulting in patchy areas of hypopigmentation,” says Dr Low, who hopes that the public can be better educated regarding this potential side effect of long-term, overly frequent laser toning treatments. For guttate hypopigmentation, the prognosis is poor and Dr Low suggests stopping laser treatments completely once hypopigmented macules appear. But that is not to say that any form of laser toning is bad. “Always go for the gold standard when shopping for laser treatments, those which provide consistent results and have a track record for safety, especially in darker skin types”, says Dr Low. She was referring to the pigment lasers MedLite C6 and the new-generation RevLite , the “workhorses” of aesthetic lasers. “Unfortunately, unlike hyperpigmentation, hypopigmentation is often refractory to treatment, because the machinery for producing normal skin pigment is impaired in the first place”. Laser toning has great results, if done correctly. She further advices that laser toning for melasma should be limited to every 4 weeks, and anything more frequent than once a fortnight should put one on high alert for development of complications. For those with PIH, the good news is it usually resolves spontaneously although it can take several months to years for the marks to fade away completely. According to Dr Low, lightening creams such as those containing hydroquinone or mequinol can be used, but it only starts to work after several weeks, and one should expect to notice improvements only after several months of use. Light chemical peels such as glycolic acid, and low dose photobiomodulation therapy may also help speed up resolution of these unsightly pigments. It is important to realise that not all lasers are made the same. Neither do they all give the same side effects. In fact, some gentle fractional resurfacing lasers such as Fraxel can help improve side effects seen above such as mottled pigmentation. Besides the type of laser, it is also vital to remember that the power of the laser therapy as well as the skill of the practitioner may also play a part in the final outcome. At the end of the day, besides choosing the right type of laser for your skin condition, you should feel comfortable during such treatments, ergo be wary of doctors who use oversell and scaremongering tactics to put you off other lasers. “Doctors should make decisions based on patients’ interests and by providing a range of laser options, this increases chances of obtaining desired results,” says Dr Low. Jane, 36 who has been plagued by melasma, she credits her newfound brighter skin to a series of fractional resurfacing lasers and microdermabrasion as well as a judicious regime of skincare containing mequinol and tranexamic acid. Just like cars, a Proton would never be considered the same as a Ferrari, so one should not assume different machines are equivalent. More importantly, lasers are inevitably machines, and we all know machines are operator-dependent. While all doctors are medically qualified, I would be putting my faith in the doctor who has intimate knowledge of the lasers he or she operates. Afterall, it only takes one bad treatment to ruin everything. This reminds me of a quote: “I regret taking such good care of my skin – said no one ever”. Choose your treatments wisely!